Games Workshop Warhammer 10 goat head warriors. Each swinging a weapon. Unpainted metal. May also be for the Dungeons and Dragons or Mage Knight game. This listing is for 10 metal parts that I believe are for the Warhammer game. 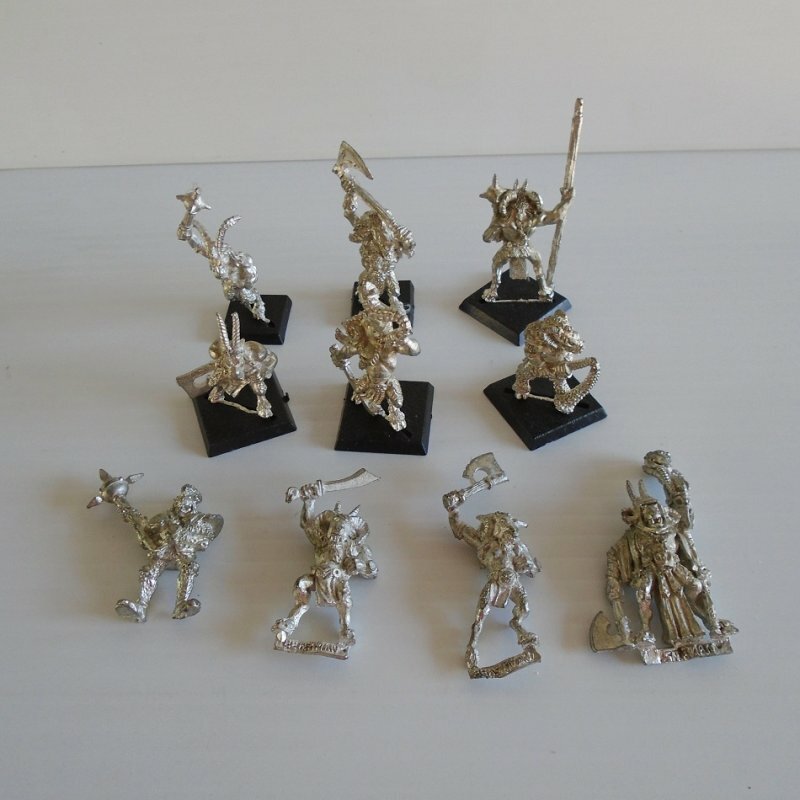 I can't promise they are Warhammer parts, they may be for Dungeons and Dragons, Mage Knight, or some other game, but when I obtained them they were mixed in a small box with items that were actually marked as Warhammer. Of the items in this listing, I am calling them Goat warriors because their heads look like goats to me. Each one is holding a weapon of some sort. I believe some of the weapons are a mace, battle axes, swords, and probably other items. All 10 are metal and unpainted. 6 have a base. Of the pieces that do not have a base, they do have the bar along the bottom that slides into a base, (if you have extra bases).